My intentions were to make a roasted beet hummus, similar to the beet and coconut hummus I did way back when I didn’t think measurements were important (ha!) Then a sad, sad thing happened. The grocery store didn’t have any beets. So sad. Then a good, good thing happened. I saw a big ‘ol package of jalapeños staring back at me. So good! I immediatley switched my mindset to Roasted Jalapeño Hummus. Genius. So I grabbed those babies and skipped my way gleefully down the street. Then I stopped skipping because there was some grumpy looking French man staring at me. Merde. Mouth, prepare to be kicked. You can go easy on the jalapeño if you are a timid spice person, but I can’t resist but add some serious jalapeño punch. 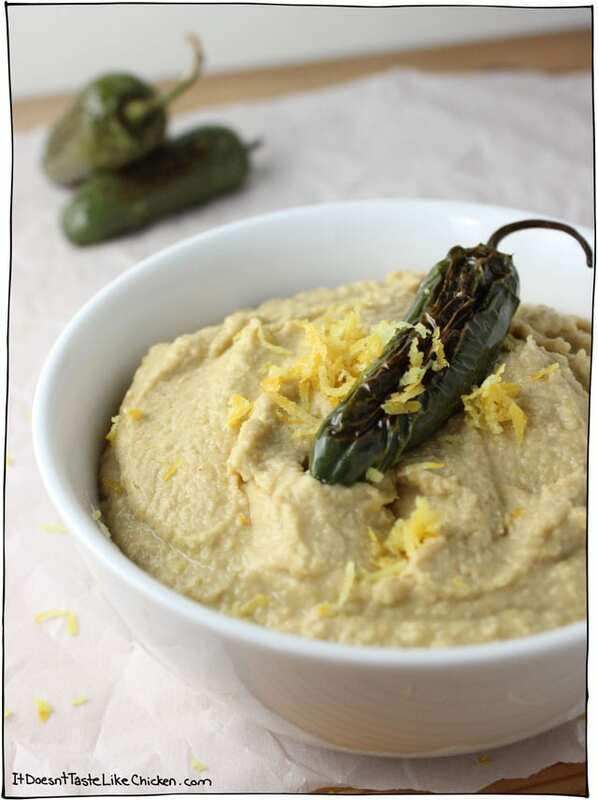 This hummus is spicy, lemony, light, and it includes a secret ingredient… Traditionally hummus has tahini in it, but to be honest, I think tahini is kinda sour and not super delicious. I also don’t usually have it in my cupboard, but do you know what I do usually have in my cupboard and is super delicious? Peanut butter! It might sound weird, but it is so, so good. Peanut butter adds the perfect creamy, nutty flavour, and also helps cut the spice a little. It’s my new favourite ingredient to add to any hummus recipe. I prefer the natural unsweetened peanut butter, but I am sure any type will do just fine. I find that the spiciness of jalapeños can vary a lot. Sometimes they set your mouth on fire, and other times, they might as well be a miniature green pepper. 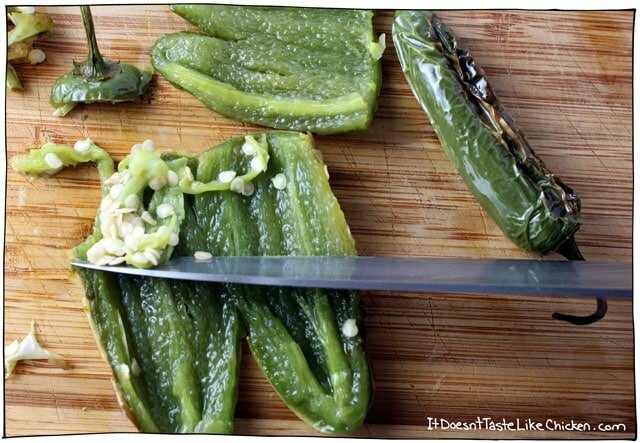 So when you make this recipe, be sure to add a small amount of jalapeño (maybe half of one to start), blend in, taste, and add more until you reach desired spice level. I ended up using two which I found lovely and spicy, but I know would be too much for some of my friends. I roasted the jalapeños in the oven, because I don’t have a gas stove, but I bet they would be delicious roasted over an open flame. I describe both methods below. You will only need about 1 to 2 jalapeños for this recipe, but I roasted some extra peppers for garnish and to have some saved for later. They are delicious to add into burritos, over nachos, or in sandwiches. Once you roast them, you will want to remove the stem and seeds. The spiciest part of any hot pepper is the seeds, so get rid of those to avoid excessive spice. Some people like to remove the skin of the jalapeños before adding them to the hummus, but I love the charred flavour they add. You can peel the skin off if you wish, or if any of your peppers get too charred. Once you have your jalapeños ready, toss all the ingredients into a food processor, and blend away. Stop to scrape down the sides every now and then. Blend until smooth and creamy, the serve with a jalapeño and extra lemon zest for garnish. To roast in the oven: Preheat your oven to 425F (220C). 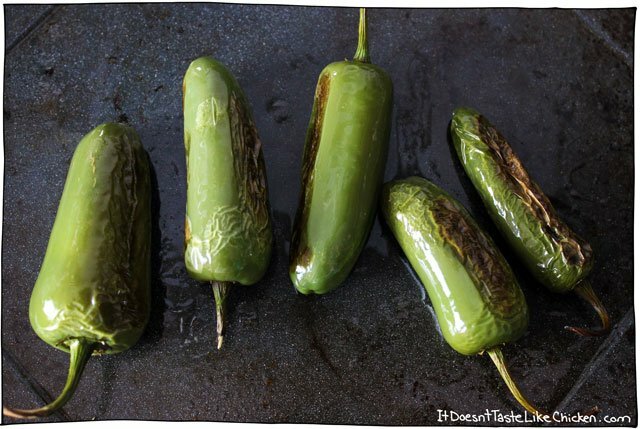 Bake the jalapenos for 12-15 minutes, flipping once halfway through, until the skins are blistered all the way around. Remove from the oven and set aside. To open flame roast: alternatively, if you have a gas oven with an open flame, you can skewer the jalapeños and roast them whole over the open flame. Keep turning them until all sides are blistered. For the hummus: stem and deseed the roasted jalapenos. Add one of the jalapeños to the food processor along with all the remaining ingredients. Blend until smooth. 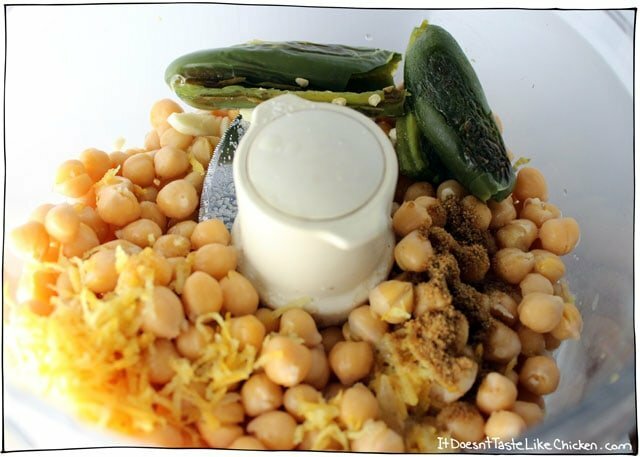 Taste and if a spicier hummus is desired, add the remaining jalapeno and blend again. Serve with veggies, chips, or pitas for dipping. 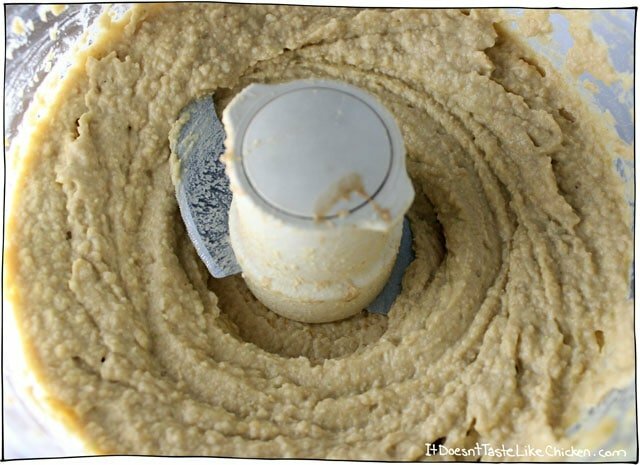 *I really love the flavour of peanut butter in this recipe, but traditional hummus recipes use tahini. Go with what you like! Featured ingredient: Jalapeños. 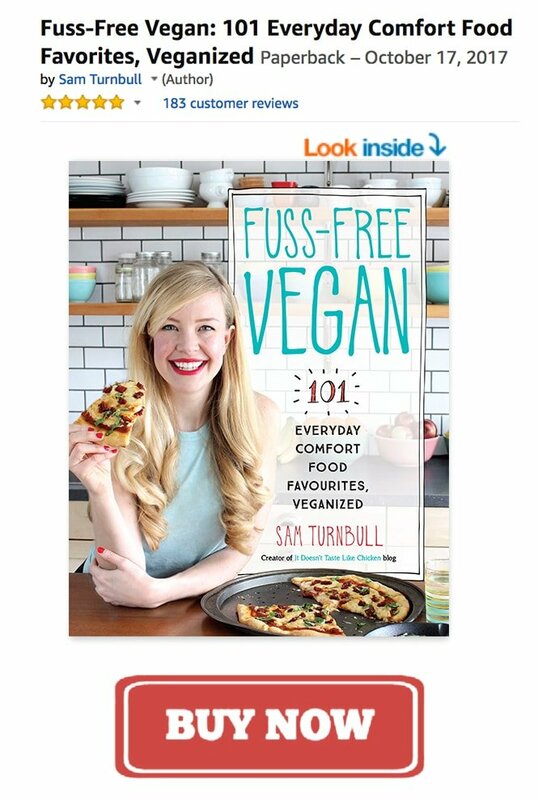 49 Recipes 29 days to go! we made this yesterday using jalapeños from our garden and it turned out SO good! Thanks so much for the fantastic recipe! Ooo fresh jalapeños! That’s perfect. You’re so very welcome, I am so glad you enjoyed it! 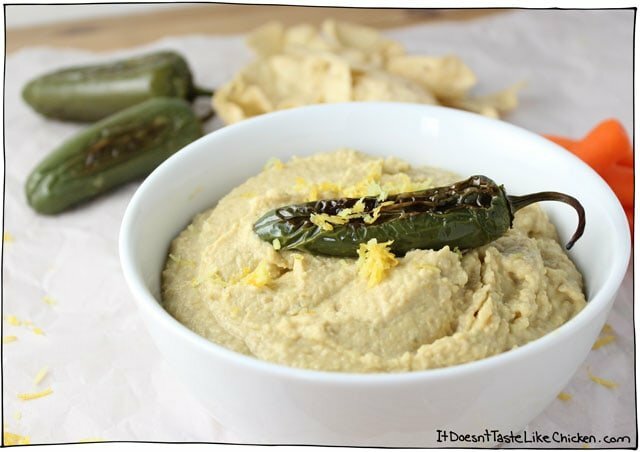 Hi Sam… I made this Roasted Jalapeño Hummus last night… WOW! 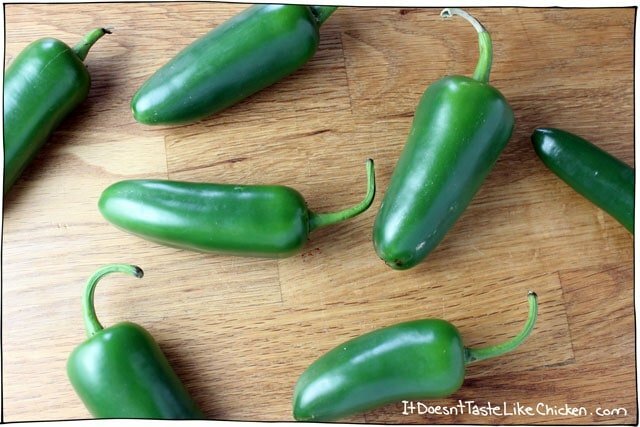 We love the addition of the jalapeños … what a great idea. I ended up using one jalapeño for the right heat for Hubby and me. Even the 21 month old enjoyed some (as a hummus sandwich). 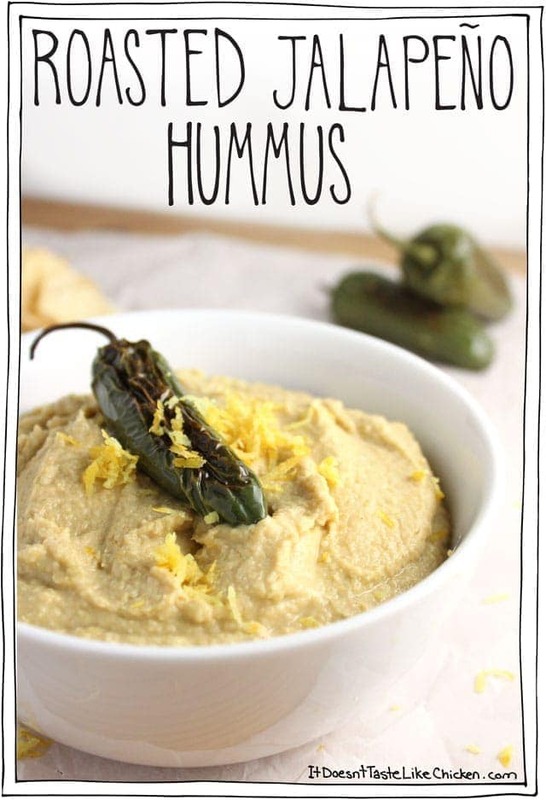 I make hummus lots, it’s so easy and delicious; I did use tahini in this recipe, but I’m definitely going to try with peanut butter (I have a second roasted jalapeño just SCREAMING to be made into hummus!). Also, I like that your recipe didn’t use any oil – it’s the first time I didn’t add olive oil… and it was not missed. 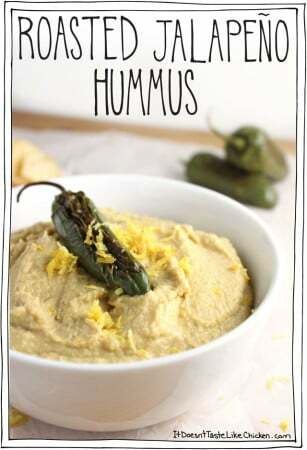 Thanks for the inspiration and reason to make hummus (does one ever need a reason to make hummus??). Oh, and I did as John’s suggested and added some smoked paprika on top. Nice addition.